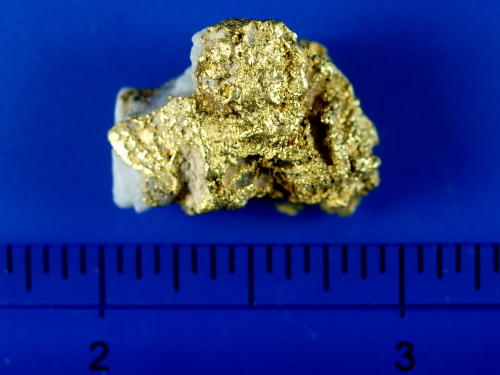 Here's a nice chunky specimen from California. 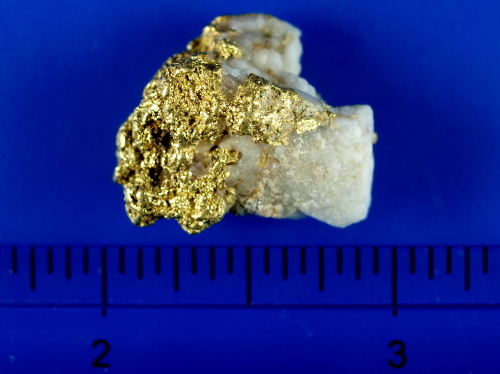 It has a nice contrast of gold with quartz, but the weight of the piece indicates that the quartz makes up a very small percentage of the total weight. 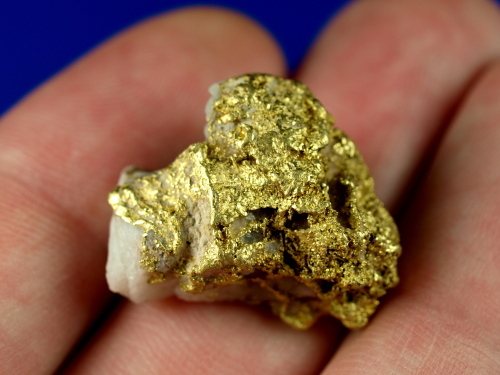 Perfect for any growing gold or mineral collection. It weighs 18.66 grams.